October 26, 2017 12 Comments This post may contain affiliate links. 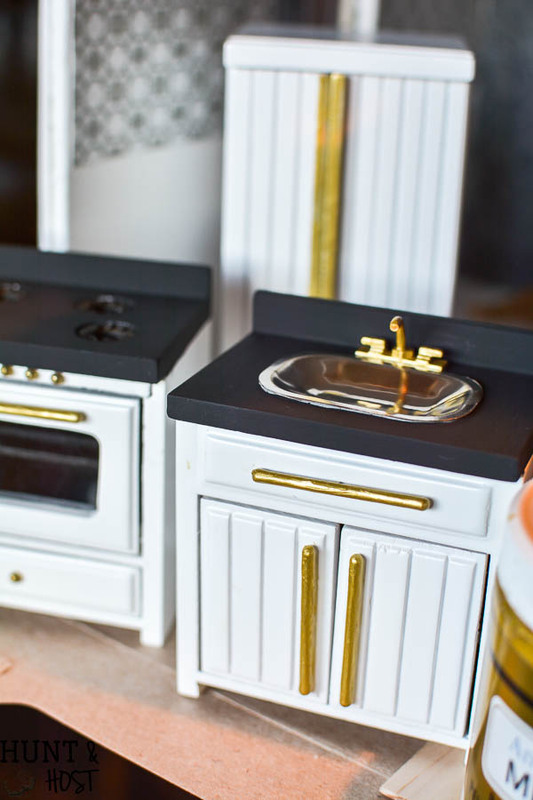 Y’all, this dollhouse makeover is SO MUCH FUN! 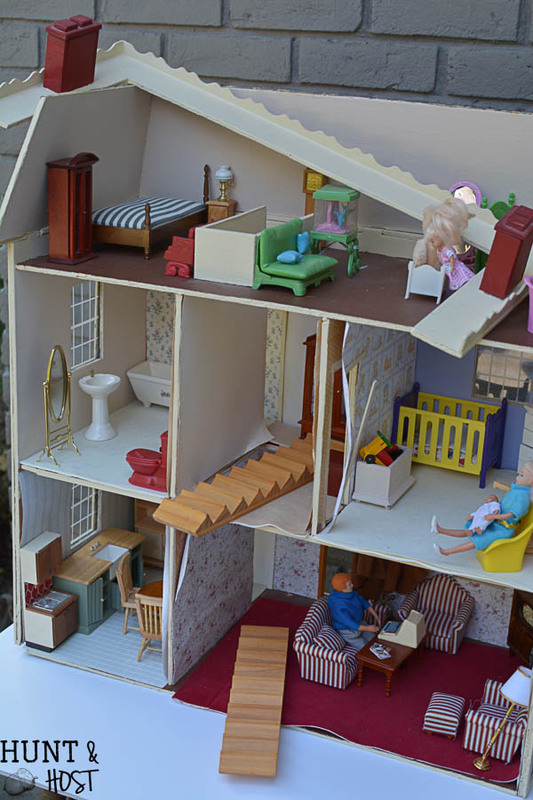 You really should think about putting a dollhouse on your to do list. I keep finding myself looking everywhere for mini things…and finding them!!! This week I worked on mini furniture flips! 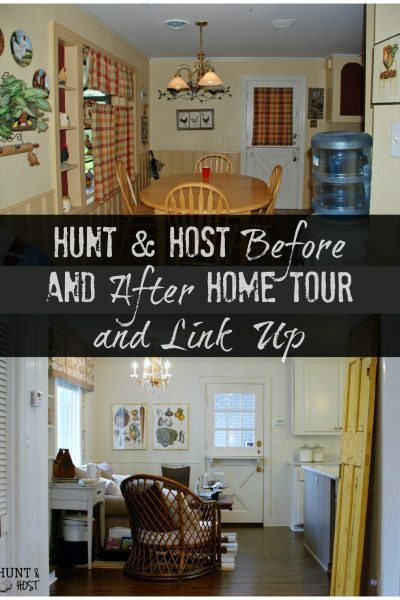 The demo for this house was easy and the furniture flips have proven to be the same. 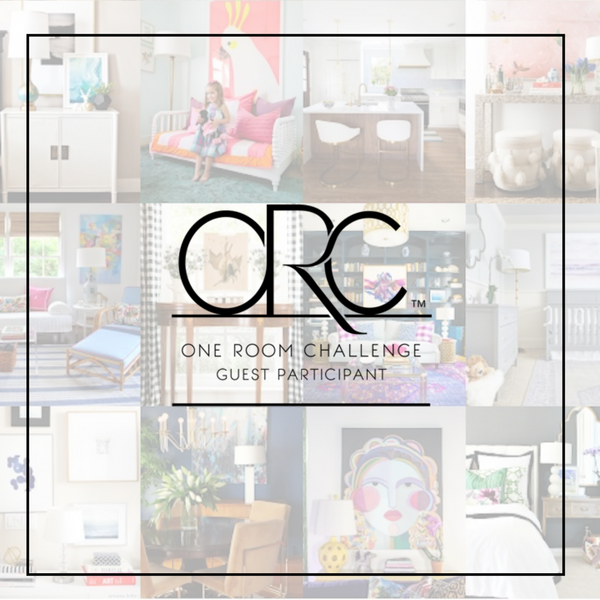 This is the fourth week of the One Room Challenge and there are some truly AMAZING makeovers taking place, you can follow them along at Calling It Home. This post is kindly sponsored by miniatures.com and DecoArt. All ideas and opinions are 100% my own! There are also affiliate links in this post so you can get the products I used at your convenience. If you make a purchase I may receive a small commission, your price is exactly the same, thanks a bunch! 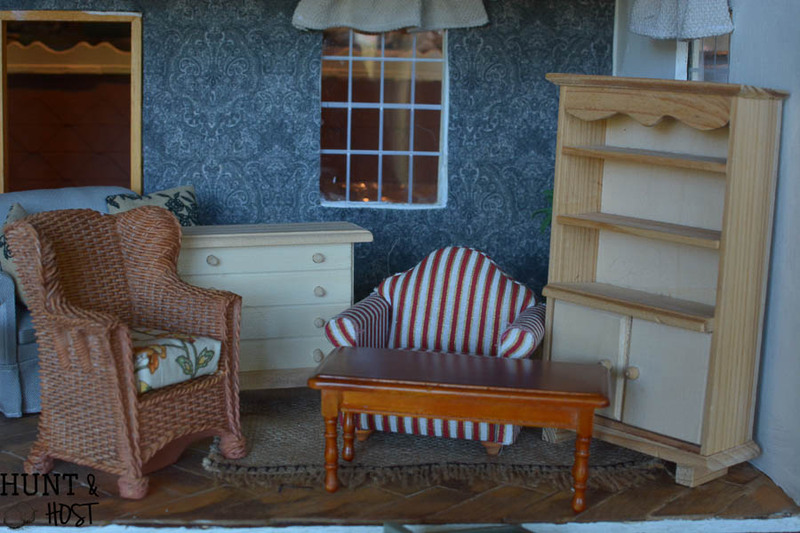 When I got my childhood dollhouse from my mom’s it came with a ton of mismatched furniture plus a box of odds and ends. There was obviously overflow furniture and some that was going to get used, but never got a chance. I had a lot to sift through before ordering new furniture from minatures.com. 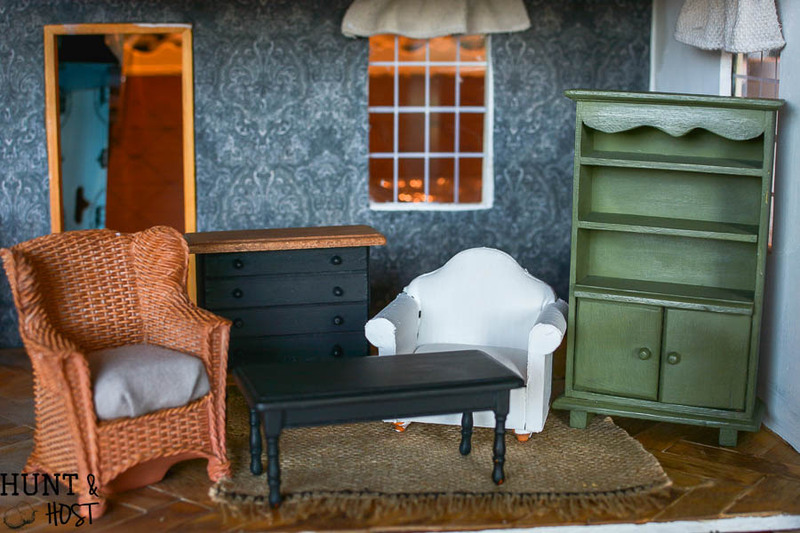 The dollhouse will mimic our home with a good mix of furniture flips and new pieces. I had a raw wood chest of drawers that needed a makeover, it is going to be perfect in the living room. Since I have a thing for two tone furniture, this chest got the double treatment. 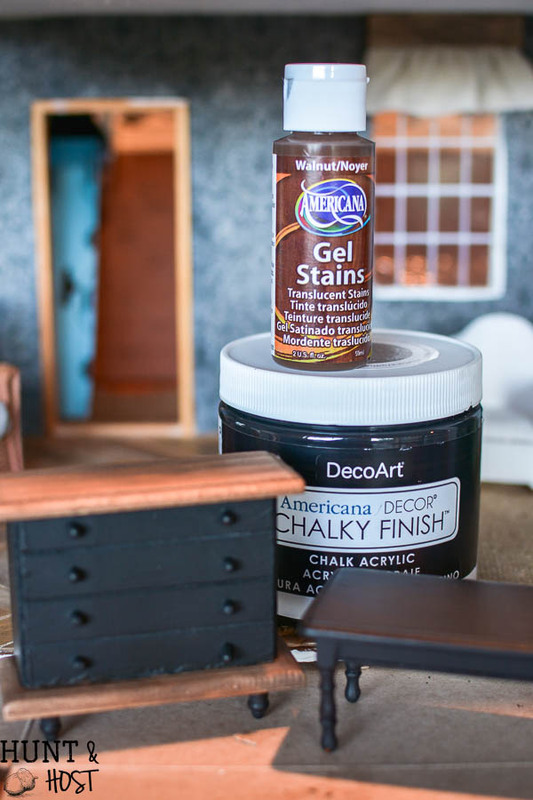 The body got painted Carbon Black Chalky Finish Paint from DecoArt then the top and bottom got stained using Americana Gel Stain in Walnut (from DecoArt too). It was my first time to use the gel stain and it went on so easy, way less messy than traditional stain. I painted it on and buffed it down with a soft rag. The old coffee table was an orangey wood and I wanted to tone it down so it got painted Carbon Black from DecoArt. 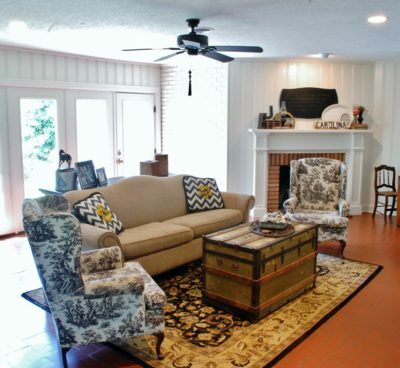 This is a great idea for your own house if you need a little change in the living area! 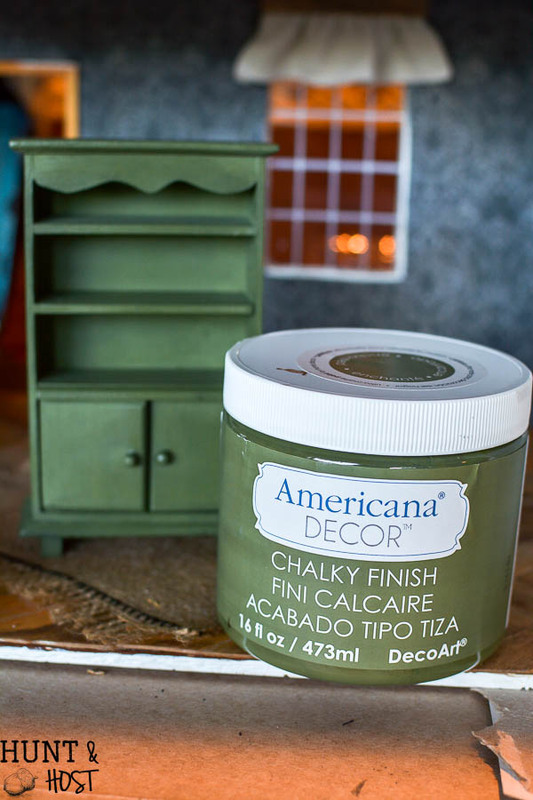 For the hutch I used Enchanted, a beautiful green chalky paint from DecoArt. 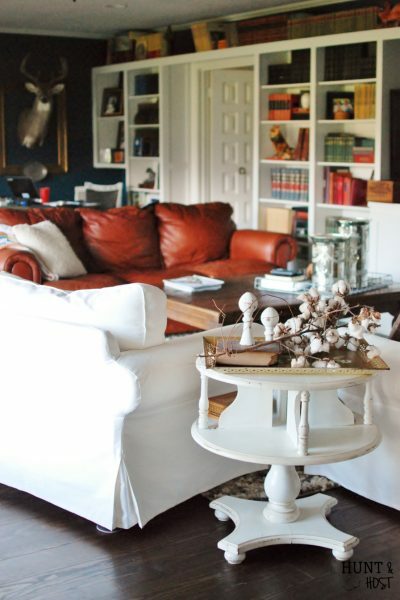 This subtle pop of color adds a punch of fun but stays pretty neutral. It will be good for holiday decorating! I wish I had more of this color in my real house. Of course changing hardware is a great way to update your home and dollhouse furniture is no different. A little bling in the kitchen is so fun! I love the play of classic and classy. Can I tell you though, I never thought I’d welcome gold again. Funny how trends come round. A gold faucet makes my heart smile and if I am going to have one any time soon this is it! 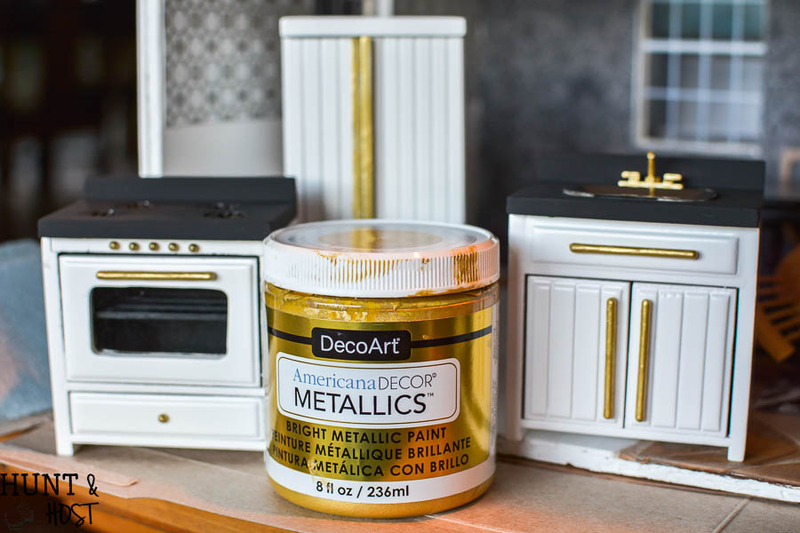 I used Soft Gold from the Metallics collection by DecoArt for the kitchen hardware. 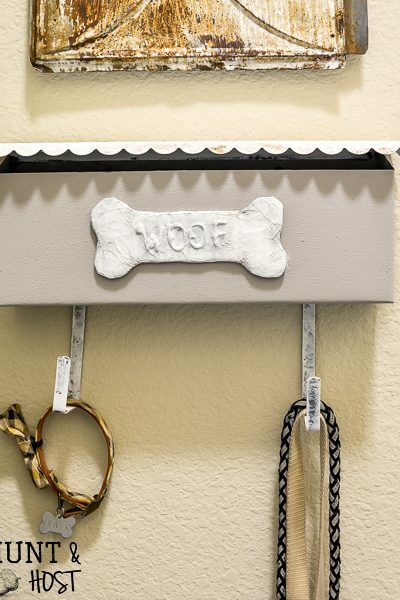 This is another great update you can incorporate in your own home, you don’t have to buy all new hardware, just paint it! it has been a complete blast, I am looking forward to finishing the whole thing, I am taking my time so it has been super fun! I was looking at the chair that you painted white. I bet if you mod podged fabric on it it may look better? I don’t know its just a suggestion. What ya think? you are genius, I am totally doing that, thank you for the fab idea! I’d have to say my favorite is the green hutch … I want to paint something green! Isn’t it a great shade, I think it is super fun…you should go for it! OMG, you’re killing me with this makeover, so cute! I have a doll house that I’m planning to work on over the winter. 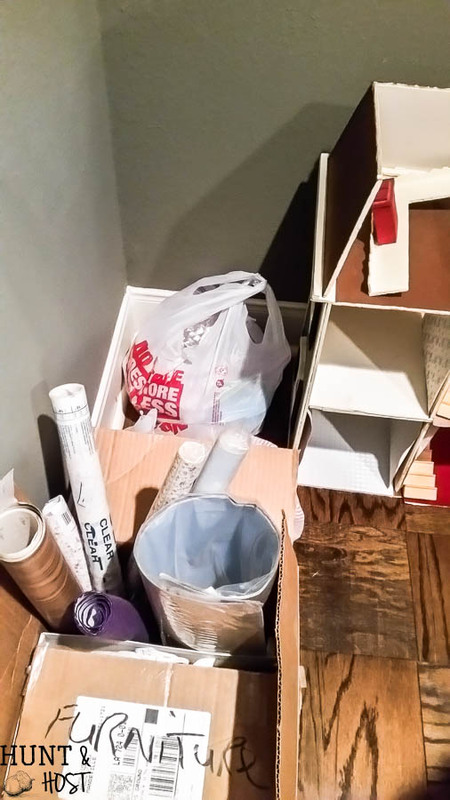 I’ve got some great ideas for how I want to decorate it and I love seeing your ideas too! thanks, it is a blast, can’t wait to for the reveal!!! This is seriously my favorite one room challenge! The kitchen appliances are my favorite! thanks friend, I am totally in love with the itty bitty cuteness! I’ve been clicking all week to see week 5! Can’t wait! 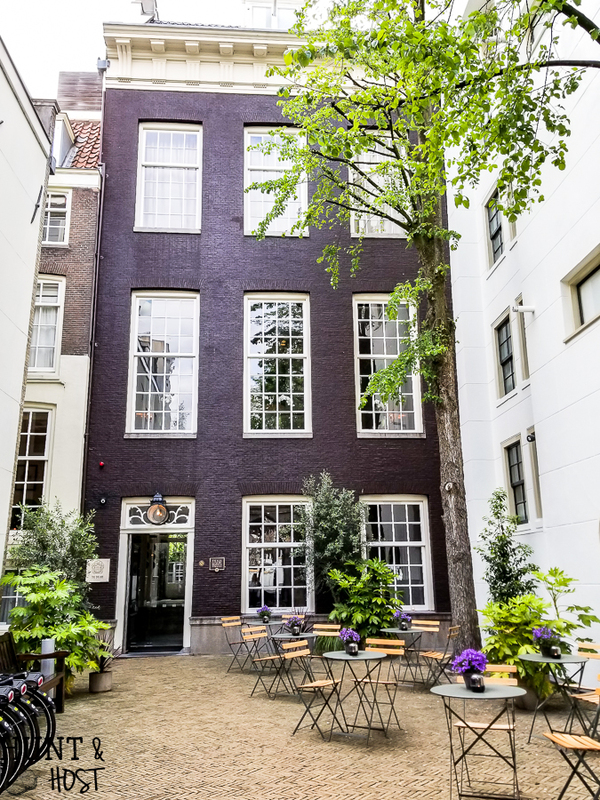 you are going to love the reveal, eeekkk!